Boca Raton, FL – South Floridians know quite well, the angst that goes with preparing as a hurricane approaches. So, a group of civic organizations and churches is hoping residents will take advantage of a free food giveaway this weekend. The free giveaway, dubbed Food 4 Friends, will be at New Jerusalem Church of God in Christ, 425 Roosevelt Ave., Delray Beach, FL 33444, beginning at 9 a.m. The parking lot will open at 8:30 a.m. 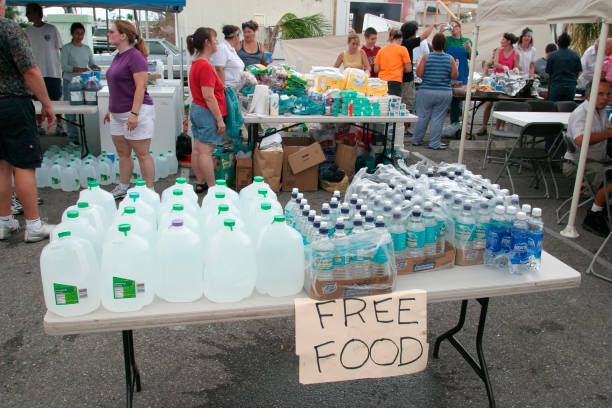 The food will be distributed on a first-come, first-serve basis and no one will be turned away. A truck is expected to bring close to 100,000 pounds of food from area distributors to the event. 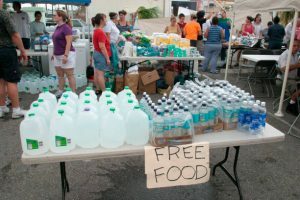 Volunteers will place the food on tables near the truck and the residents will then be able to “shop”, choosing items that they need. “If you are coming, please bring your own bags or cart to carry the food,” said Wanda Gadson, of the South Palm Beach County Alumnae Chapter of Delta Sigma Theta Sorority, Inc., one of the organizing organizations. Recipients of food will be asked to sign up to volunteer for three hours with three local nonprofit organizations. Saturday’s event is open to the public and is organized by KOP Mentoring Network in partnership with the Delray Beach Police Department, CRA Media Group, Praise and Worship City Church, Daughter of Zion Seventh Day Adventist Church, Heroines of Jericho, St. John Primitive Baptist Church, New Jerusalem Church of God in Christ, Target, United Believers of Delray Beach, Omega Psi Phi Fraternity, Inc., Alpha Phi Alpha Fraternity, Inc., Delta Sigma Theta Sorority, Inc., and Wayne Barton Study Center. KOP Mentoring Network is a character building, mentorship and gang prevention program designed to foster leadership, academic success and civic-mindedness in youth ages 7 to 17. Since 1991, the organization has mentored more than 1,000 underserved youths in ways that lead to meaningful change in their lives. Auguste is asking everyone to share the news of the giveaway considering there is so much need in the community and everything on the truck must go. “On any given day, many of our kids and their families in this community do not know where their next meal will come from. So, this is our way of helping them meet those needs,” she said. For more information, call 561-926-0076.